but encouraging a healthy lifestyle & way of thinking. Here's some food for thought. Follow this rule of thumb and you'll feel fabulous! Healthy Life. Healthy Body. 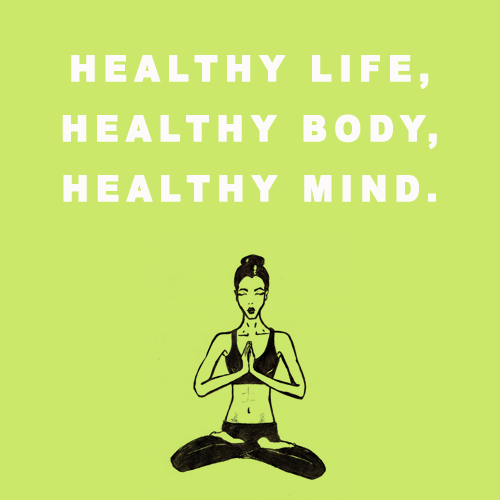 Healthy Mind. And Repeat. entire order at both our beauty website and StoreEnvy website! Booyah!! Have a wonderful weekend dolls & dudes! That's a very good mantra! This IS a good mantra! I'm working on revamping my diet and getting my skin to look a bit better. I just moved from the US to Germany and was traveling and I think my face hates me now! Any chance you'd like to do a giveaway with : the daily savant : ? I'm loving the products you've got on your site ! I followed you with GFC. Hope you can connect with me, as well! Love that print. Thanks for the inspiration!